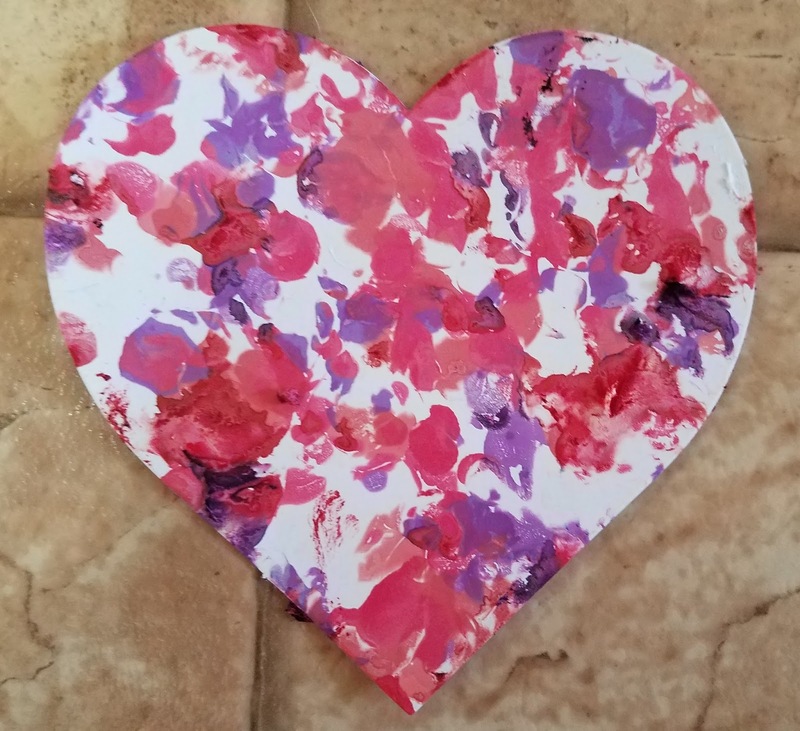 I have seen many different heart craft ideas perfect for this time of year. 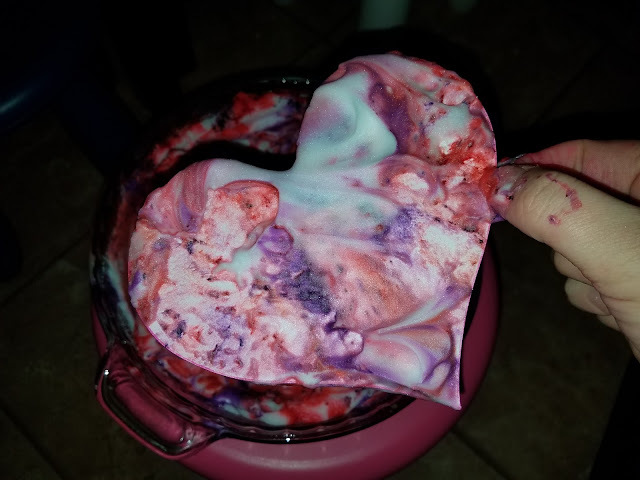 One that caught my eye that kept popping up on Pinterest was shaving cream hearts. I never clicked on a link to see the variations of this activity, but I instantly knew how I wanted to do ours. 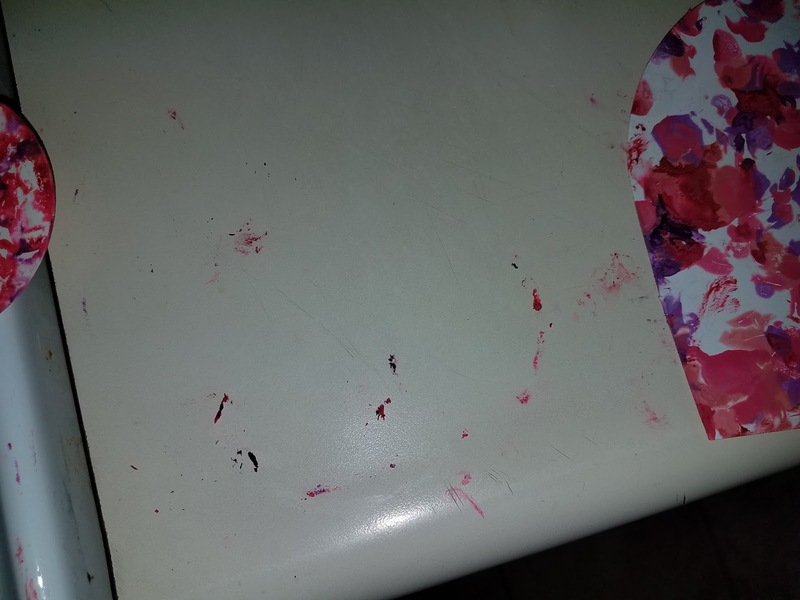 The cats got into the drying hearts and made a mess of the counters! 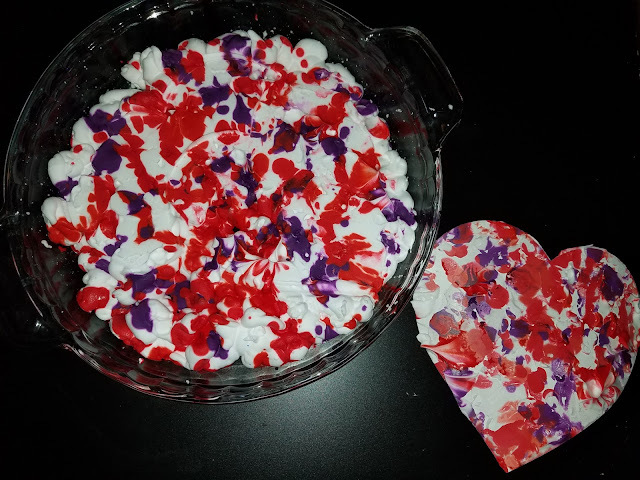 Hours later, after the minis got home from school, they wanted to give it a try. 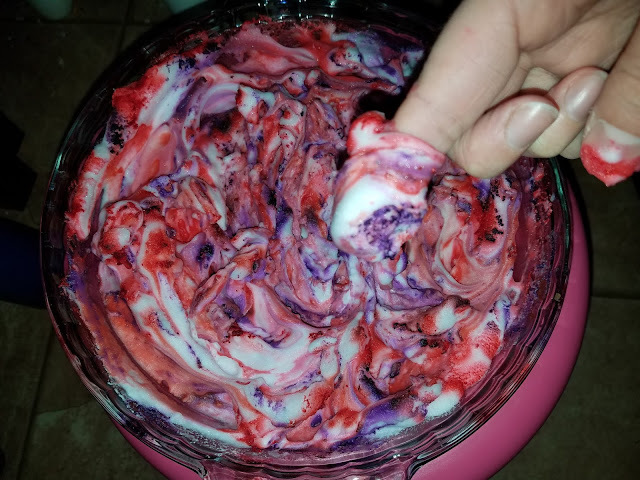 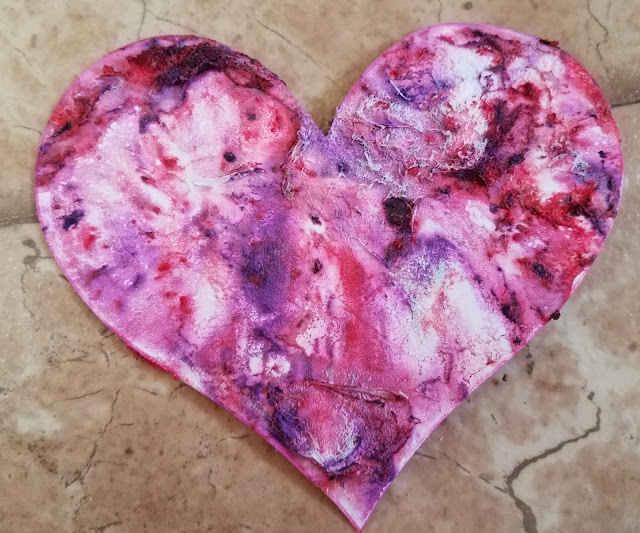 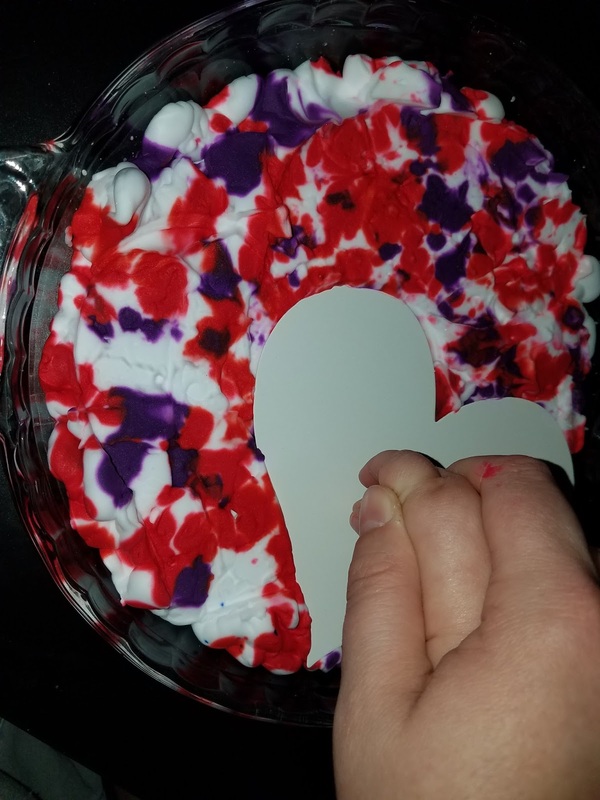 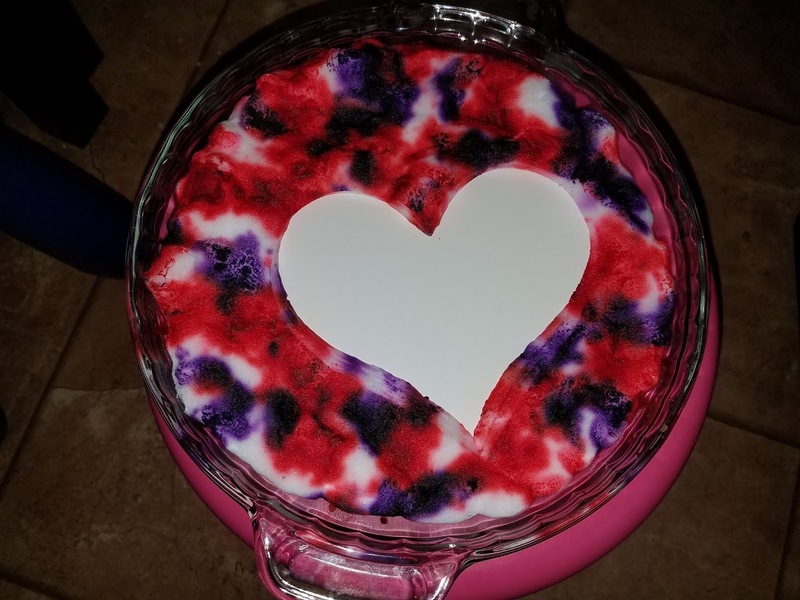 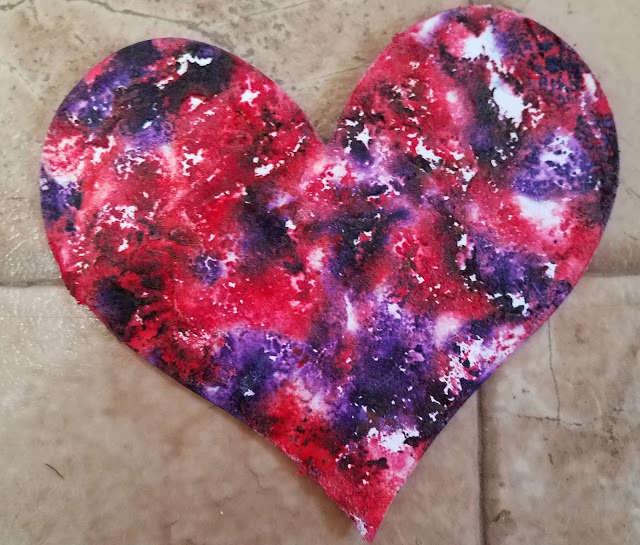 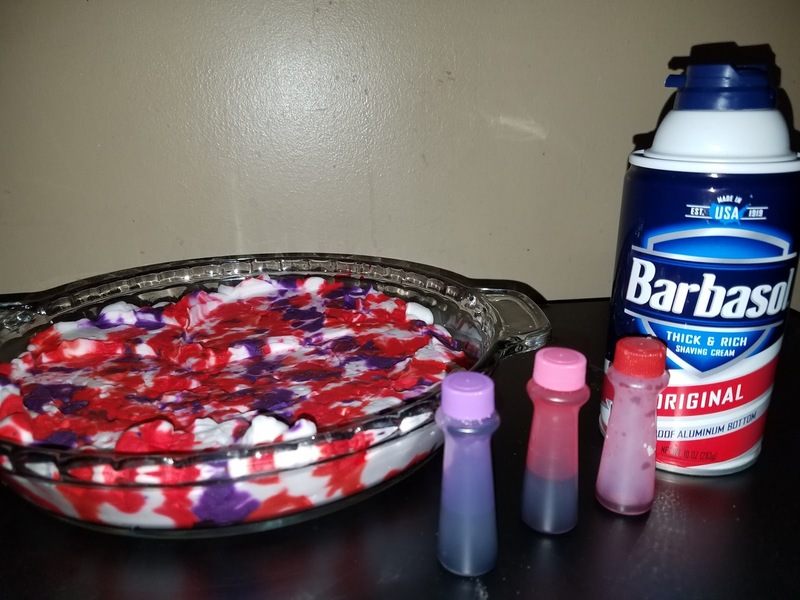 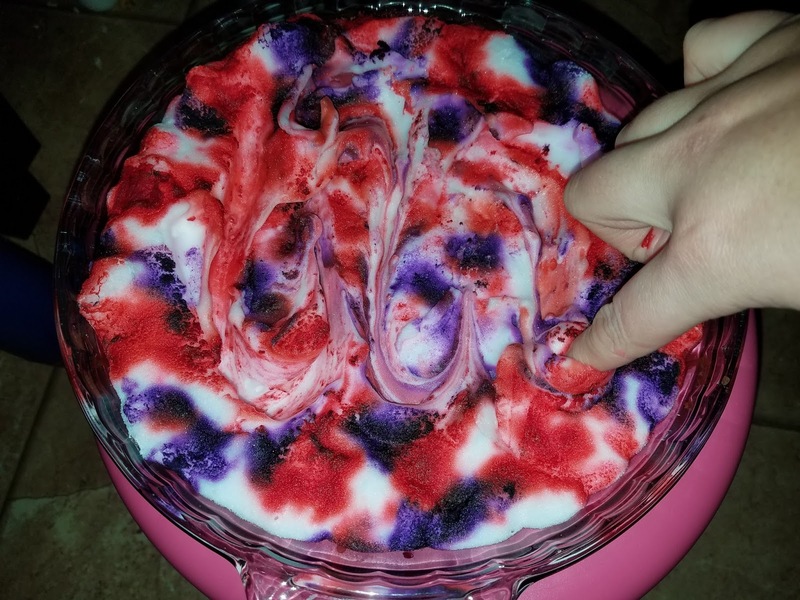 The shaving cream had gotten foamier and the food coloring deeper, giving round 2 of shaving cream hearts a different appearance. 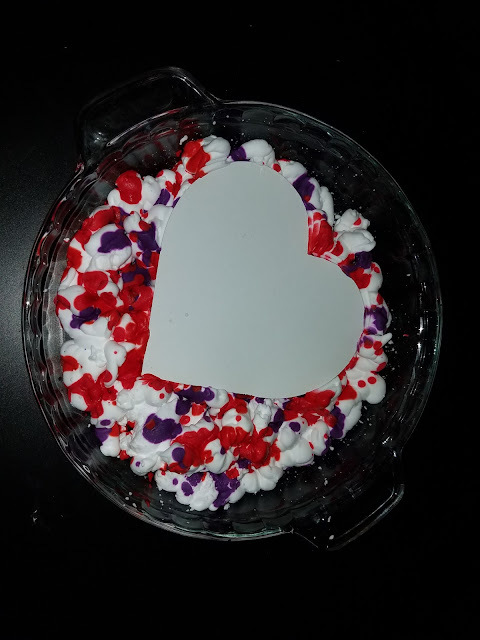 The minis played with the shaving cream and then smashed in one last heart just to see how it would turn out. 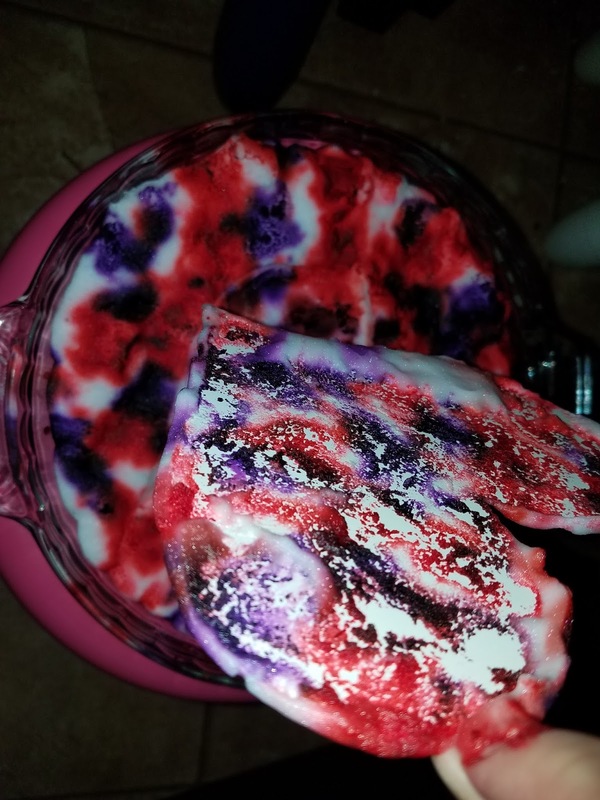 Our results left to right: round one (shaving cream and food coloring fresh), round two (shaving cream and food coloring sitting out for 6+ hours), and lastly, shaving cream and food coloring mixed together. I LOVED the outcome of our Shaving Cream Hearts and the kids enjoyed making them too!